Will Amazon Be the Death of Business? You open the door and look down to see a package from Amazon waiting for you. Your surprised, but excited at the same time because you just ordered this package the day before, and are stunned at how fast and organized the company is…However, there is a lot more behind Amazon then you might think. You might think Amazon workers are getting paid a lot, but previously a law was passed that it was required for the employees to be paid at least $15 an hour. 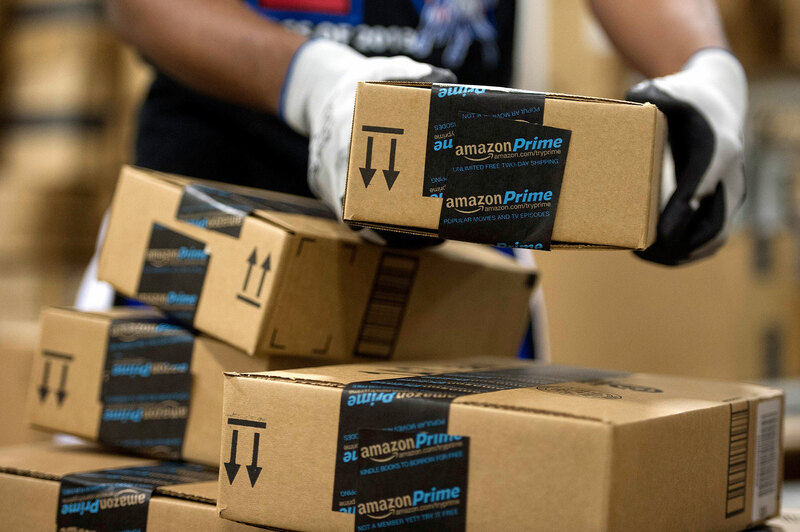 Before this law, New York Times Magazine stated that in 2018, “Amazon had been paying a starting minimum wage of $11 an hour.” The employees that were already getting paid $15 an hour, would get a raise as well. However, Work at home Customer Service Representatives do not get a raise. Ultimately, Amazon plans to give 50,000 jobs to people all over the US. Now, you may ask, how do Amazon workers get everything done…Well, think about a world where robots do all the work. That’s the world you’re about to live in! So far, Amazon has took over 50% of sales worldwide, replacing the important jobs people need, with mindless robots. The company has over 100,000 robots that roam around their warehouses, putting products in boxes, and placing them into different orders. If Amazon continues to take over companies, and become more successful, robots will be soon be doing jobs that could’ve once belonged to humans, and if this happens, then people all around the US could begin to lose their jobs. In order for people to pay taxes, and bills, buy food to eat, get an education, and buy clothing, they need jobs, and if more and more jobs are taken away by robots, a higher number of the US could become homeless or bankrupt. Therefore, people are beginning to think whether Amazon’s success does any good to the world now, or in the future. Along with dominating a countless number of companies, it is said that “Amazon is going to take over everything!” You may ask how… well, here is your answer. Amazon has began to take over and invest in many companies. One of the biggest out of these companies was Amazon’s 13.7 billion dollar deal with Whole Foods. Since 2018, this deal has not only caused Amazon to make a huge profit, but according to forbes magazine, Whole Foods has increased their profit as well. Not only has Amazon taken over Whole Foods, but well known shoe retailer Zappos as well! According to SGB Media, in order to get this deal, Amazon offered Zappos roughly 900 million dollars. However, the deal was worth around 160 million dollars! Another popular company that Amazon has taken over is the video streaming site, Twitch. Twitch was purchased by Amazon for about 970 million dollars! However, it was extremely worth it, because after their deal, Amazon and Twitch have majorly grown in popularity! Overall, Amazon’s profit has increased drastically due to merging with successful companies, and helping them grow. Amazon started as a small internet company, and only within a small amount of time, became one of the most successful companies in the world! So, next time you order a product from Amazon, remember the consequences that this company has to give!